You are likely to make either cultural mistakes or miscommunicate your intentions as a student of the German language, especially if you are traveling through German-speaking countries. Therefore, on your long list of vocabulary essentials to master when studying the language, be sure to include German expressions of forgiveness and excusing yourself. When deciding what expression to use after you've made a mistake or misstated something, err on the side of excusing yourself too much rather than not enough. Just hope you don’t have to use the following expressions too often—but if you do, learn which expression or phrase is correct. When you need to say "excuse me," the German language provides several ways to make the request. In the examples in this and the subsequent sections, the German expression is listed on the left, with the English translation on the right, followed by a brief explanation of the social context where needed. Entschuldigen Sie bitte meine Fehler. > Excuse my mistakes. Entschuldigen Sie bitte, dass ich Sie störe. > Excuse me for disturbing you. Entschuldige bitte, dass ich es vergessen habe. > Sorry for forgetting. Entschuldigung / Ich bitte Sie / dich um Entschuldigung > Sorry / Please excuse me. Ich bitte Sie / dich um Verzeihung. > I ask you for forgiveness. Können / Kannst Sie / du mir diese Dummheiten verzeihen? > Can you forgive my foolishness? Das habe ich nicht so gemeint. > I didn’t mean it that way. Das war doch nicht so gemeint. > It wasn’t meant in that way. Das war nicht mein Ernst > I wasn’t serious. Note how the last three examples do not even include the word "forgive" or "excuse." Instead, you are essentially asking for forgiveness by making a statement indicating that you were not serious or that the intended meaning of your action or statement was misunderstood. German offers some colorful ways to say that you regret taking a certain action or making a particular statement. Ich bedauere sehr, dass ich sie nicht eingeladen habe > I regret not having invited her. 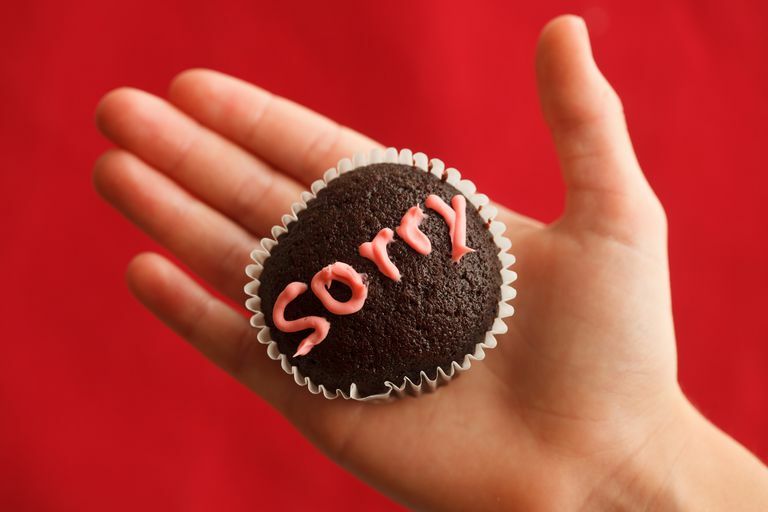 Es tut mir Leid > I am sorry. Es tut mir Leid, dass ich ihr nichts geschenkt habe > I regret not having given her a present. Leider habe ich keine Zeit dafür. > Unfortunately, I do not have any time for that. Es ist schade, dass er nicht hier ist. > It’s too bad that he is not here. Note how in the last example, using a phrase like "Too bad!" in English would be considered a social faux pas as if you were saying "Tough luck!" in a pejorative manner. But, the phrase in German does, indeed, indicate that you are being contrite and asking for forgiveness for your transgression, whatever it may be.